Home :: Necklaces :: N0295 – Oceania - 15-18"
A shinning necklace of sterling silver curb chain with 13 and 20 mm briolette of sparkling sea blue quartz dangling from it. The briolettes are wrapped with .999 fine silver and seem to have the ocean itself captured in each one! 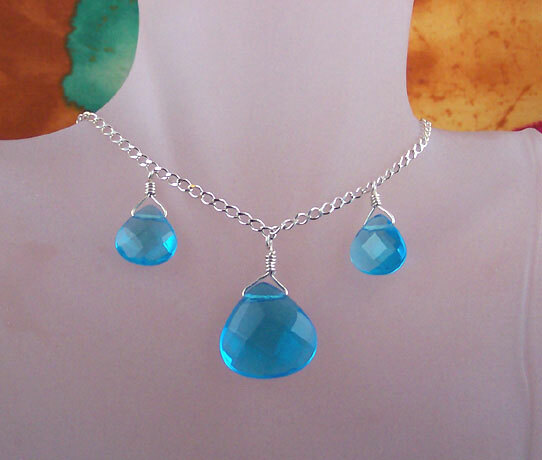 Necklace is made versatile with an extender chain with a 6 mm Swarovski crystal dangle.